This blog post marks the first in a series on how universities and colleges across the globe are welcoming their students on campus. For many students, it marks their first time away from home and their first college experience. In recent times, colleges have had to up their game when it comes to student welcomes with a mix of offline and online activities and initiatives. The first such initiative we are going to look at is the first seven weeks initiative from the University of Limerick; a modern Irish university in Limerick, home to 17,000 students. It boasts one of Ireland’s most beautiful campuses and is fast becoming a choice destination for international students. It recently come to our attention that they’re also having somewhat of a moment when it comes to student engagement, particularly on social media. In fact, if you’re unfamiliar, do stop by their twitter, it’s a joy to behold, a perfect example of what it means to nail that natural, conversational tone so many universities and colleges struggle with. In today’s post, we’re going to pick one of our favorite initiatives from the University of Limerick, so do sit back and get inspired! As any university will be familiar, early adjustment is key to success in college. 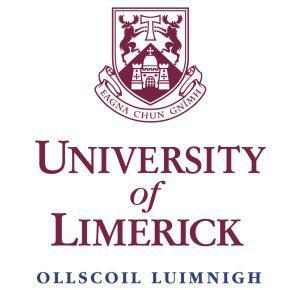 With this in mind, the University of Limerick provide a range of information and resources to new students as well as interacting with new students in ways that make them feel included and cared about. The premise is simple and one that is seen on campuses worldwide, but this one in particular is working incredibly well - enrolled students (wearing bright orange t-shirts) are hired to provide guidance, support and information to incoming and new students. The initiative is designed to help incoming students navigate the first choppy seven weeks with greater ease and encompasses a website, blog posts, social media presence and an on campus hub where students can visit for advice. The website features really helpful advice on everything new students need to know for week one, including how to view their timetables and when to register. The articles aim to give the low-down on everything from socializing, clubs and societies and UL insider knowledge. Perhaps the most notable element of this initiative is their social media presence. The initiative has a very active social media presence and students are encouraged to tweet, snap and post their questions, advice and experiences on social media using the #FirstSevenWeeksUL hashtag. We have to give special mention to this hashtag. If this hashtag had been around when we were in our first weeks of university, we would have been supremely grateful. We’ve seen similar hashtags before but this one from UL has really taken on a life of its own- featuring genuinely useful advice and much needed encouragement. What’s really interesting about this is how a hashtag can create an online community. It can create a place where students who are feeling lost can visit and find like-minded people. In those first precarious few weeks of college, fostering a sense of community can help make the difference between someone dropping out and someone deciding to stick with it. It’s also worth mentioning, that UL runs an excellent international student programme, ensuring that each individual international student is made feel welcome. This video is a testament to how a programme like First Seven Weeks can change an international student’s entire university experience for the better. Does your university run a similar programme? Send us an email at marketing@terminalfour.com or let us know in the comments below.